I consider myself a blazer gal. 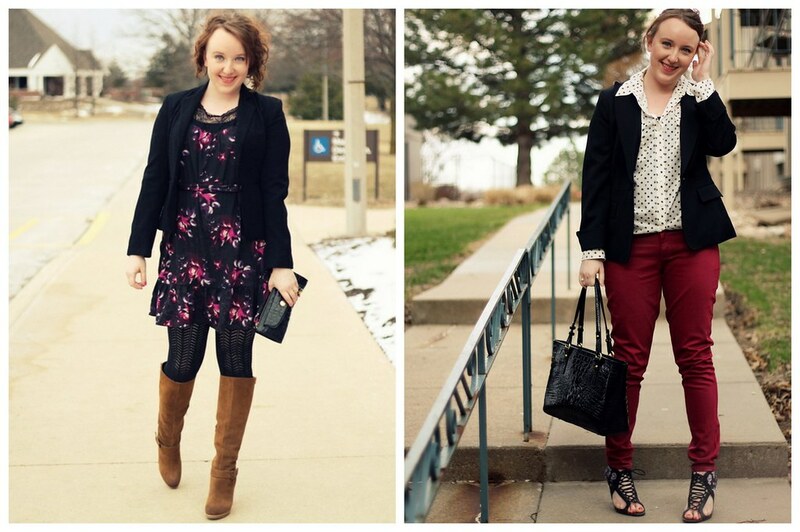 Without a doubt, a blazer is my favorite layering piece and an easy way to feel put-together. I own many blazers of all types, fabrics, prints and textures, but the one that gets the most wear is my black blazer in a very lightweight wool. 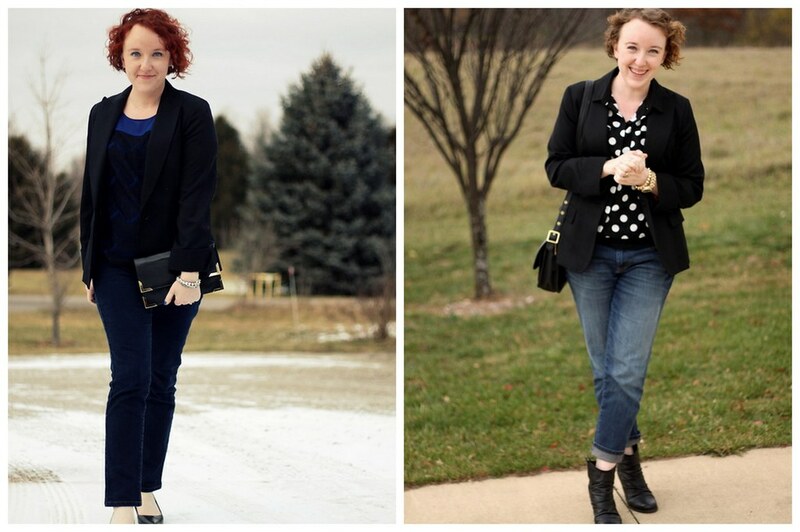 Looking for a black blazer of your own? I’d suggest going to a garage sale or a secondhand store. Blazers made of quality fabrics in a variety of fits are abundant at thrift stores, and the best part? Your wallet won’t complain. See the original posts here, here, here and here.